Click the button below to add the BrickArms WWII Allies Pack v2 to your wish list. New for 2018, the Allies Pack v2 comes with WW2 weaponry from Britain and the US. All wood-styled weapons are molded in dark walnut brown, which is darker than the reddish-brown found in the v1 pack. 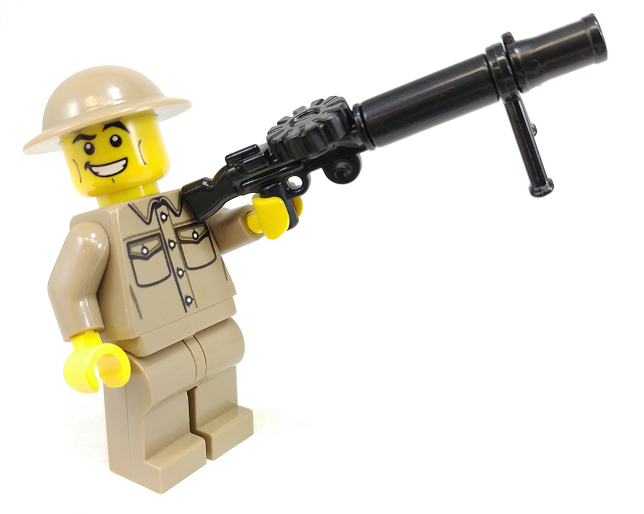 It also comes with a new BUILDABLE Lewis gun!